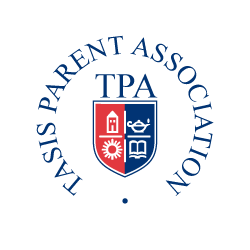 Current parents are members of the TASIS Parent Association (TPA). Contact: tpa@tasis.ch for more information. fostering a spirit of inclusion and cooperation within the school community. promoting open communication between parents, teachers, and school administrators. connecting the community through social events to make all families feel welcome. enhancing the school environment through fundraising activities. Run by parent volunteers, the TPA works closely with the TASIS administrative team to coordinate key programs and events throughout the year. The TPA Executive Committee and TPA Board Members work together as the TPA Executive Board. The mission of the PSC is to promote open communication between parents, teachers, and school administrators. The primary objective of the PSC is to create an open dialogue between parent representatives and the School. It also is a platform for communicating families/parents feedback and common concerns and issues about academics, School events, trips, and initiatives. In this way, parents and the School administration work together on solutions for these and other issues. There is a separate PSC for each division: Elementary School (ES), Middle School (MS), and High School (HS). Each of these committees comprises parents representing the American and Italian sections, different nationalities, multiple languages, and all grades. Each division-level committee meets regularly with its respective School administrators to discuss and find solutions about topics and issues brought forth by parents during the school year. Each committee has a maximum of eight PSC members, including a PSC Coordinator selected by the TPA and the TASIS administration. PSC meeting are scheduled with the faculty and the Headmaster four times per year. Each PSC Coordinator sets up meeting dates with the administration before the end of the School year. Each PSC Coordinator shares agenda points at least 24 hours before the meeting and minutes after the meeting with the administration for approval. Minutes will be written in the same format for all divisions and highlights will be added to Weekly Bulletins. PSC members communicate regularly during the year to stay aligned on the shared vision of PSC. To get involved in the PSC, please contact the relevant PSC Coordinator or tpa@tasis.ch. Throughout the year, the TPA organizes events and activities that promote school spirit and enhance the School environment. Students celebrate Halloween with games, and trick-or-treating for Elementary students. Middle and High School students enjoy a Halloween Brunch. Students and faculty members sing carols around the tree decorated by the TPA. The one-day Holiday Market features unique products offered by TASIS students and parents and food stalls to benefit the Service Learning Program. Held just before Spring Break each year, the Egg Hunt is a festive occasion for Elementary students with crafts, games, and prizes for the whole family. Held every two or three years, this themed event aims to raise money for specific campus development projects. The TPA coordinates parent initiatives to support teachers, including teacher gifts and an annual teacher appreciation lunch for all TASIS faculty and staff. Proceeds from fundraisers support the TPA and TASIS programs. Gently-Used Uniform Sale — Throughout the year, the TPA accepts donations of clean uniforms in good condition. These are sold on Opening Day and on the first Monday of each month. TPA Cook Book Sale — A collection of international recipes from TASIS parents and TASIS Chef Fabio Marrone. Copies of the cook book are available at reception for CHF 35. The Community Life Committee connects our families through on- and off-campus events and activities. Discover hidden treasures in the villages and mountains of Ticino and in Lombardy, Italy, through a gita (an outing)! Throughout the year, TASIS parents organize gite to encourage friendships between new and existing TASIS families as we learn about our beautiful local surroundings. Held regularly throughout the school year, these popular lunches are a great way to welcome new families and catch up with other TASIS parents. Help teachers and students with class activities throughout the year. Halloween, Christmas, Carnival, and Easter are opportunities to spend time in class decorating and doing activities. Help moms meet and get to know each other. Help new moms understand the School and surrounding area. Act as team parents for specific teams. Organize appreciation gifts for coaches. All of the exciting activities and events that the TPA does throughout the year would not be possible without a strong group of volunteer parents that make them happen. Please email tpa@tasis.ch to get involved and help make the TPA even stronger. For additional resources and information, current families may use the community login below to access the private Parent Portal. Remember to follow the TPA Facebook page for more announcements and information!